These earrings simply scream "party time"! 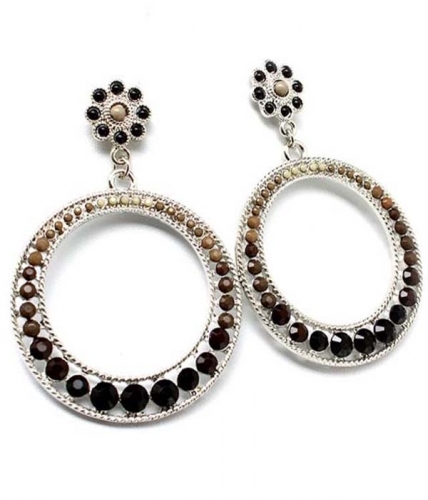 Silver plated metal hoops embellished with multiple beads of different sizes and shades from black to beige suitable for wear day or night. Add any of our attractive bead earrings to your favorite summer outfit and make it pop!